Can a film be great without question? Is it demented to find fault with "Inception?" Or "Citizen Kane?" Not at all. 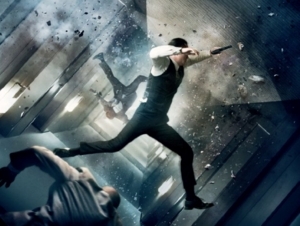 Scolds have emerged in recent days to smack at those critics who disapproved of "Inception," but as a fervent admirer of the film I can understand why others might not agree. In fact, the reasons cited by David Edelstein in his much-attacked negative review seem reasonable. I don't agree with him, but that's another matter. I've been trying to think of one film that everyone reading this entry might agree is unquestionably great. 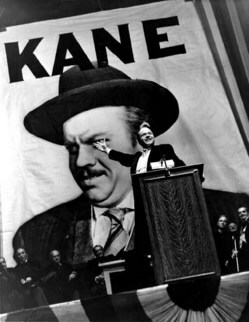 You might think I'd name "Citizen Kane" or "The Rules of the Game," the two films that in recent decades have consistently been at the top of Sight & Sound magazines' poll of the world's directors and cineastes. But no. I've taught both shot-by-shot and had many students who confessed they didn't feel the greatness. There are people Bergman doesn't reach. And Ozu. 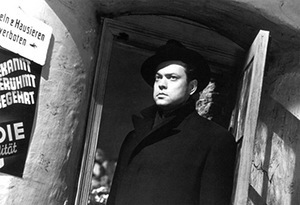 I've never met anyone who doesn't like Hitchcock, but I promise you I will in the comments under this entry. 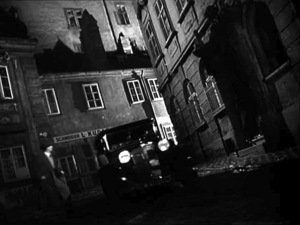 Many Hitchcock fans don't admire "Vertigo," which I think is his best film. "The Godfather," I think, comes closest to being a film everyone agrees about. It's currently #2 on the (debatable) IMDb list of the 250 greatest films of all time. "The Shawshank Redemption" is #1, and in the #3 position is..."Inception." It will drop. The first two have 900,000 votes between them, and "Inception" only 20,000. All the same, if you say you dislike "The Godfather" or "Shawshank," I can't say you're wrong. The one thing you can never be wrong about is your own opinion. It's when you start giving your reasons that you lay yourself open. Many years ago there was a critic in Chicago who said "The Valachi Papers" was a better film than "The Godfather." "Phil," I told him, "film criticism is a matter of subjective opinion. Only rarely does it stray into objective fact. When you said 'The Valachi Papers' was better than 'The Godfather,' that was an error of objective fact." Edelstein wrote: "Inception is full of brontosaurean effects, like the city that folds over on top of itself, but the tone is so solemn I felt out of line even cracking a smile. It lacks the nimbleness of Spielberg's Minority Report or the Jungian-carnival bravado of Joseph Ruben's Dreamscape or the eerily clean lines and stylized black-suited baddies of The Matrix--or, for that matter, the off-kilter intensity of Nolan's own Insomnia. 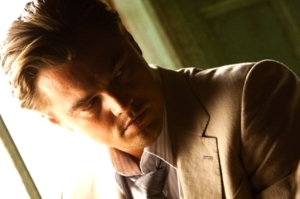 The attackers in Inception are anonymous, the tone flat and impersonal. Nolan is too literal-minded, too caught up in ticktock logistics, to make a great, untethered dream movie." Edelstein is correct in his comparisons with the other films. "Inception" does lack those qualities. I love his phrase "ticktock logistics," and plan to steal it. In my case, I didn't crack a smile while watching the film because Nolan didn't call for one, nor was I looking for the qualities David found in the other films. I found it refreshing that Nolan's villains didn't wear matching uniforms (do the bad guys in "The Matrix" and the Bond movies all share locker rooms?). It's true that Nolan is literal-minded and logistical, but I believe the film depends on the conceit that you can think your way into someone else's dream with your own intelligence. The last thing he wanted was an untethered dream movie. Nolan successfully made the film he had in mind, and shouldn't be faulted for failing to make someone else's film. Edelstein concludes: "The movie is a metaphor for the power of delusional hype--a metaphor for itself." This is a statement with a certain appeal. The notorious thing about metaphors, as everyone who has ever graded student papers knows, is that almost anything can be read as a metaphor of whatever you want it to be. (The New Yorker used to have fillers headed, Block that metaphor!) But Edelstein is right that "Inception" was preceded by enormous hype on the internet. Only once you had seen it, of course, could you decide if it was delusional hype. It's unlikely Nolan anticipated the "delusional hype" and made "Inception" as a preemptive metaphor, but you never know. Still, I understand where Edelstein is coming from. I can understand how a critic could react to the film in his way. His review is justified and valuable, more stimulating to a lover of the film than still more praise. It helps you to see it. If you don't agree with his litany of faults, you have to ask yourself, why not? Compare Edelstein with Armond White, whose review joins David's in the dock at the current online heresy trial. White calls "Inception" a "con game," and explains: "Its essential con is that, as in 'Memento,' Nolan ignores the morality of his characters' actions; he accepts that they will do anything--which is the cynicism critics admired in 'Memento,' the con-man's motivating nihilism." White is correct to say Nolan ignores morality, but is he correct to think that's a fault? Does White admire other films that ignore morality? 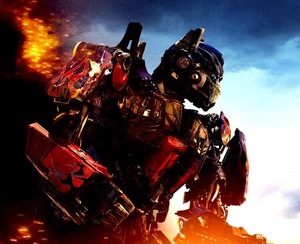 What about "Transformers: Revenge of the Fallen," which he found superior to "Toy Story 3?" White doesn't say why a film shouldn't ignore morality. Where does Bunuel fit into his view? Actually, we learn, Nolan lacks not only morality, but basic craftsmanship: "Nolan doesn't have a born filmmaker's natural gift for detail, composition and movement." Then what is White's idea of great composition? Of "Transformers: Revenge of the Fallen," he writes: "In the history of motion pictures, Bay has created the best canted angles--ever." Boone's review fits my definition of usefulness. It doesn't matter whether I agree with him. He helps me see things. So, always, does Stanley Kauffmann. 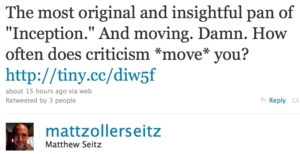 That Seitz praised the Boone review and was even moved by it, implies something good to know about him as a critic. He wasn't doing it simply because he agreed. There's a human tendency to resent anyone who disagrees with our pleasures. The less mature interpret that as a personal attack on themselves. They're looking for support and vindication. In the area of movies, no phenomenon has dramatized this more than the rise of Rotten Tomatoes. When a movie is running at 100% on the Tomatometer, an inevitable death watch occurs, as readers await the first negative vote. Recently the perfect ratings for "Toy Story 3" and "Inception" were "spoiled" by Armond White. There was outrage. The Twitterverse was in flames. A. O. Scott and 22 others also disliked the film, but it was White who got the attention, because he has been cast as the spoiler. As many actors will tell you, it's more fun to be the villain than the hero. Actually, the Meter on "Inception" is holding at around 84%, but that's small consolation for some of its fans. They require perfection. It's possible that if the Tomatometer didn't exist Armond White would attract attention only from those readers who actually wanted to read what he wrote. There would be a lot; he's not boring, and is capable of wicked insights. It's also possible that there's a method in the manner he uses to assiduously vote against the grain--which is why the Tomatometer can be mischievous. In the "open marketplace of ideas," it is believed, the better ones will eventually rise to the top. Sites like Rotten Tomatoes are where critics bring their ideas to market, but some readers come only to window-shop. It is a melancholy fact that for some, ideas have been replaced by the Meter reading itself. It doesn't matter nearly so much what anyone actually said, as whether "everyone" agrees with you. "What did the critics say?" I've seen it claimed on the web that Armond White said "Grand Theft Auto" (the video game, I assume, not the movie) was better than "Inception." He did no such thing. He compared them. 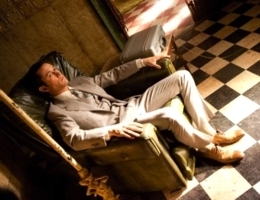 He wrote: "Like 'Grand Theft Auto's' quasi-cinematic extension of noir and action-flick plots, 'Inception' manipulates the digital audience's delectation for relentless subterfuge." This is true. He assumes such a parallel would be bad. The point is that some of White's attackers never actually read his review. That wasn't necessary. For some fans, what was necessary was to find validation for their opinions. The Tomatometer, Metacritic, MRQE, Movie Review Intelligence, and the IMDb User Score are easy places to do that. What it comes down to is, you "liked" it and so you require everyone else to "like" it too. When I attacked "Transformers: Revenge of the Fallen," I got 874 comments. About 600 of them were outraged, and most of those were offended that I disagreed with them. So what? I thought "Dark City" was the best film of its year and "Synecdoche, NY" the best film of its decade. I was in the minority both times. Long years ago, I was also in the minority in my love for "Bonnie and Clyde" and "2001." Lots of people, right at the first, disagreed. That's the way it goes. I was outraged, but not about some goofy meter reading.